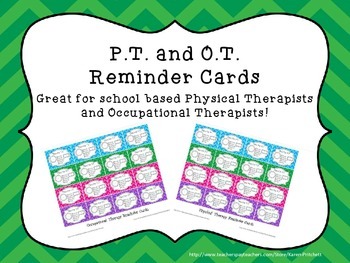 Reminder cards for your students in Occupational Therapy or Physical Therapy. 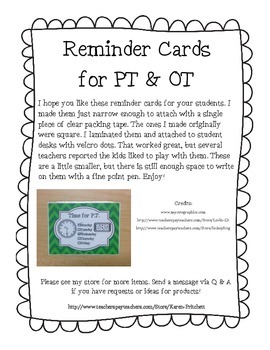 Attach to student desks with clear packing tape to help them remember what time they need to come for therapy. 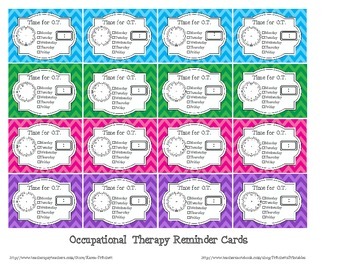 I hope you enjoy these - I have used them with my students in speech therapy, and it has really helped my schedule flow smoothly.